If you don't know how to find people on Snapchat, you can't enjoy all the fun features that has made this app one of the leading social apps. Lucky for you, there are four different ways to easily find people and add them as friends. This is perhaps the easiest and fastest way to find people on Snapchat and add them as friends. The big upside to this method is that you can automatically add people from your contacts in bulk. Open the Snapchat app on your mobile device. Tap your profile / Bitmoji icon in the top left corner. Tap Contacts in the menu at the top. Tap the blue Find Friends button. Follow the instructions Snapchat gives you to allow it to access your contacts from your device Settings. Navigate back to the Contacts tab in Snapchat, tap Find Friends > Continue. If you successfully allowed Snapchat to access your contacts, a popup message should appear asking for you to confirm your permission. Tap the purple OK button. People in your contacts who've connected their phone numbers to their Snapchat accounts will appear at the top along with their name, username and profile / Bitmoji icon. Tap + Add beside any contact to add them as a friend. Now whenever you want to see who might be on Snapchat from your device contacts, you can navigate to the Contacts tab from the Add Friends button on your user tab. 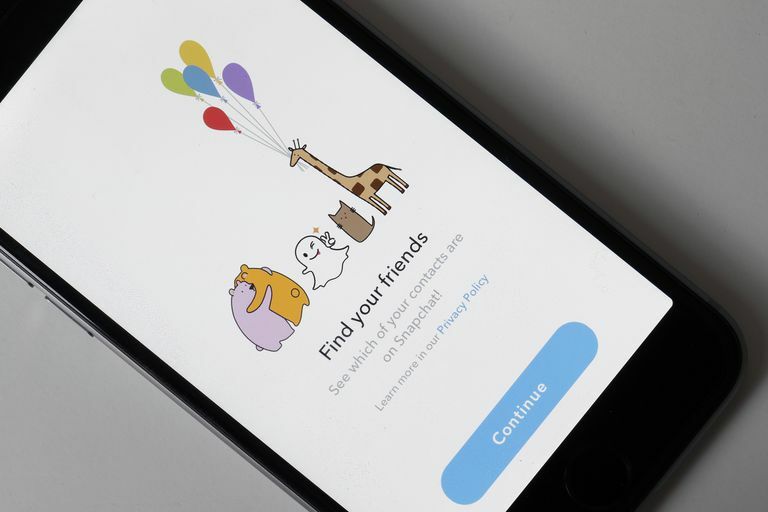 Since you've already allowed Snapchat to access your device contacts, you'll see a list of your most up to date Snapchat users from your contacts. People who haven't connected their phone numbers to their Snapchat accounts or who are possibly not Snapchat users at all will appear at the bottom. Tap + Invite beside any contact to invite them to join Snapchat. Snapchat usernames are unique and can never be changed. If you know someone's username, you can easily search for them and add them as a friend. Tap the search field at the top of the screen on any of the three main tabs (marked by the magnifying glass icon). Type a username into the search field. User results will automatically be displayed beneath the search field. When you find the correct user match to the username you searched, tap + Add beside their user listing to add them as a friend. Every Snapchat user has a unique Snapcode that can be scanned through the Snapchat app to quickly and automatically add them as a friend. Have your friend open Snapchat and navigate to their Snapcode by asking them to tap their profile / Bitmoji icon. Their Snapcode is represented by the yellow square with the dotted pattern. Open Snapchat on your device and navigate to the camera tab by swiping right left from the Conversations tab or tapping the circle button in the bottom center of the screen. Point your camera at your friend's Snapcode so you can see it in the camera viewer on your device. Tap and hold the Snapcode on your device screen — then let go after a second or two. This will prompt the app to scan the Snapcode and pull up the corresponding user. You don't necessarily need to scan Snapcodes from the Snapchat app on another device. You can also have someone send a screenshot of their Snapcode, open it on a computer or other device, and then scan it from there. Once you've successfully scanned the Snapcode and found the corresponding user, you can tap the purple Add Friend button to add the user as a friend. Depending on the user's privacy settings, you might not see an Add Friend option after a scanning their Snapcode. Instead, you might see a Subscribe button, which will only allow you to see their publicly shared content (such as stories). An alternative way to add friends by Snapcode is to upload a photo of their Snapcode to Snapchat. To do this, first take or save a photo of a Snapcode with your device. Tap Snapcode in the menu at the top. Tap the photo of the Snapcode from the grid of photos. Snapchat will scan the Snapcode in the photo and pull up the corresponding user. You might need to give Snapchat permission to access your photos first if you haven't done so already. Tap the purple Add Friend button to add them. Quick Add is a feature that displays users to add in various sections throughout the Snapchat app. These users are suggested to you based on mutual friends and people you subscribe to. Tap the + Add button on any user to add them as a friend. Look directly beneath the user's username for more information on your connection to that user. For example, if Snapchat suggests a user to add because the app has identified them in your device's contacts, you should see a label beneath their username that says "IN MY CONTACTS." Tap the X in the top right corner of any user to remove them as a suggested friend.